Life in this historic and culturally vibrant city is incredibly relaxed. I can live without a car…walking to the park with my dog or anywhere in the centro historico is a pleasure. I also love taking a book to an open-air restaurant and bar, watching the world go by as I read. The weather is glorious all year round, with daytime temperatures always falling between 65 F and 85 F, and the rain moderate when it occurs. Everyday living here is a pleasure. Living in Querétaro, I manage perfectly well on about $1,000 a month. With a budget of $1,500 a month, I would have few limitations, and at $2,000 a month, I could live like a prince. Right now, I teach English freelance for a living but when I start receiving my Social Security checks in a few years time (I’m 57 years old), that will more than adequately cover my living expenses. Rent: I rent a furnished, one-bedroom apartment in the centro histórico, within easy walking distance of everything I need. The apartment costs me about $250 a month, and electricity, gas, and a building maintenance fee add another $50. Transportation: If I can’t walk somewhere, I’ll take a bus or taxi. 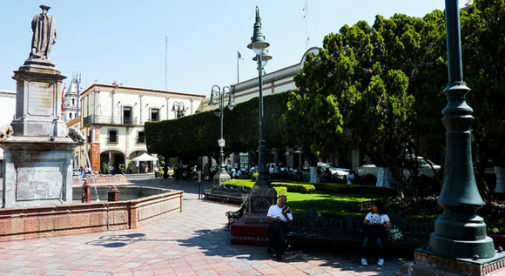 Querétaro’s bus system is efficient and rides cost about 50 cents. I spend approximately $18 a month on transportation. TV and Internet: I don’t need cable TV, although I do have a TV set for watching DVDs. I don’t need a landline and my smartphone is pay-as-you-go. I do pay $16 a month for reliable internet access. Food and Groceries: I spend $400 a month on food (including restaurant meals) and groceries. I indulge myself with a few beers at home every night, but good beer only costs about 70 cents a bottle. Laundry: I don’t have a washer or dryer in my apartment, and prefer the convenience of sending my laundry out anyway. My laundry and dry cleaning come to $26 a month. Medical: I am fortunate to be in good health. I do take some prescription medication that costs me $45 a month to buy in generic form. 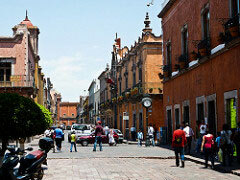 You can live well on as little as $1,000 a month in the colonial city of Querétaro, Mexico. Other Bills: I spend $25 a month to maintain a UPS Store box so that I have a mailing address in the U.S. Then other miscellaneous expenses like Skype, bank charges, and a couple of subscription services I have total about $53 a month. So you can see that it’s easy for me to live in the heart of a fantastic city for just $1,000 a month. 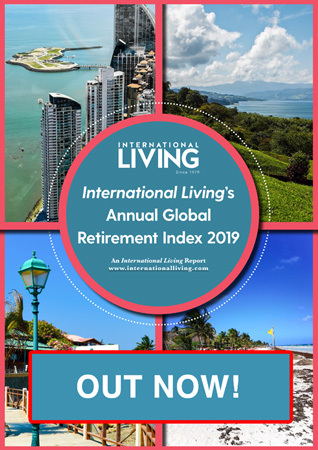 You often hear that it is possible to live in certain countries for much less than it would cost to maintain a comparable lifestyle in the U.S. or Canada…and in my experience, that is certainly true in Mexico. I sometimes wonder, why is anyone still north of the border?